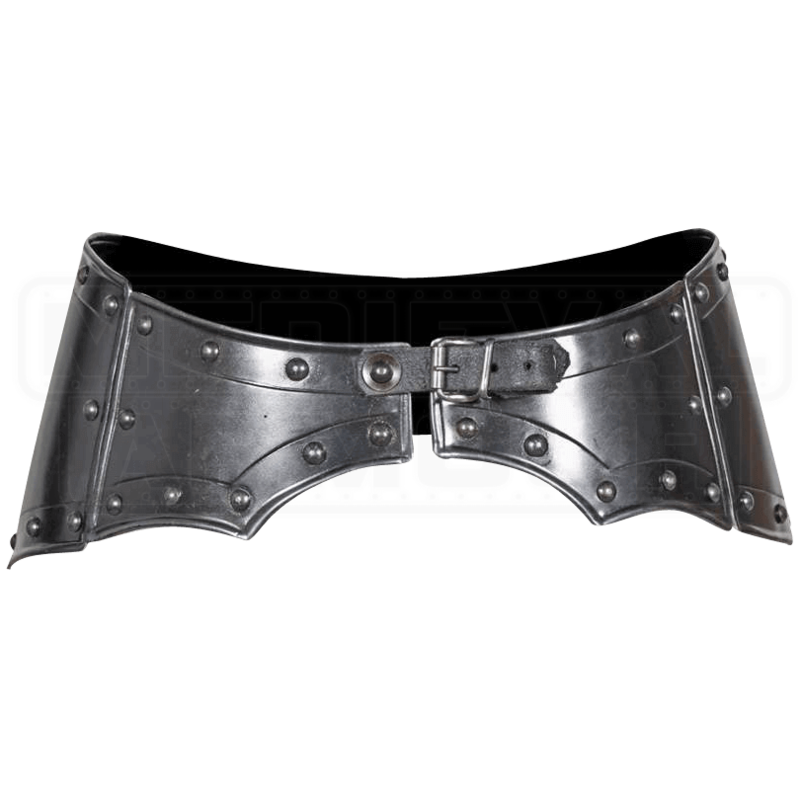 The Blackened Mina Armour Belt is perfect for women warriors looking for a stylish and sturdy addition to their battle gear. 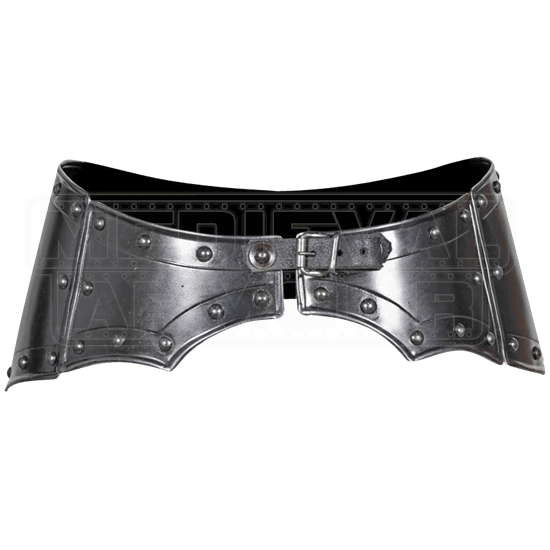 Great for use in LARP outfits, this blackened 18 gauge steel belt is decorated with rivets and worn at the hip. The belt is fastened with adjustable buckled belts, with one in the front and two in the back. Decorated with rivets along its edges, the Blackened Mina Armour Belt is well suited for matching with the Balthasar armour line, such as the Small Blackened Balthasar Spaulders (MY100063), as well as other pieces of Mina armour, like the Blackened Mina Gorget (MY100059).